“God gave it to us”–This is statesmanship? Last week Palestinians mark 48 years since the 1967 war and Israel’s occupation of the West Bank, Gaza Strip, East Jerusalem (Palestine) and Golan Heights (Syria). Not only did this war cause massive displacement and refugees, it started what has been one of the longest military occupations of modern times—nearly half of a century. And don’t think that this is not getting to Jews of conscience in Israel and elsewhere. Many people are euphoric over Netanyahu’s win as his far right coalition has dramatically hastened the awareness of racism and intransigence in the country.even the US is getting fed up with its client state. Recently the largely secular country is laughing out loud at the deputy foreign minister Tzipi Hotovely’s remarks about Israel’s ownership of the land of Israel after all God gave it to us and who are you to argue against the Holy One. This is what passes for statesmanship in Israel today. Hareetz columnist Uzi Baram wrote that “anyone who is rational rather than messianic would go into shock and a defensive crouch. This time is over. Netanyahu and his blinkered government of blind guides and reactionaries “have no chance of earning international sympathy by declaring that their policy derives from Israel’s right to the entire Land of Israel, while ignoring the suffering of the Palestinians and showing no real willingness to let them establish an independent polity. Now where will you read serious dialogue like this? Apparently not in our political parties. We know where the Tories stand; the Libs are scared of offending Jewish voters.Justin Trudeau just tweeted that the Libs are totally against the BDS movement.and the NDP? Not even an issue. The truth will ultimately survive.The lies of israel, its shocking defensiveness, its utter loss of humanity and savage brutality to the people of Gaza, its substitution of hasbara (cynical spin) for honest self-reflection and maybe saddest of all, its betrayal of the highest standards of Judaism—all profoundly depressing. On the other hand, in testamnets of brave internationalists in this case courageous Norwegian doctors, we once see the transcendent spirit of the human race. 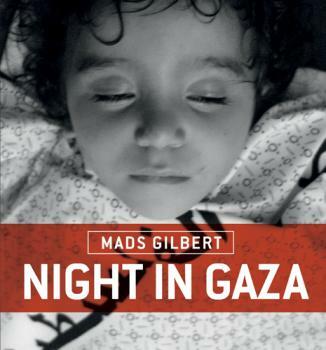 This book is a medical doctor’s account of what he witnessed in Gaza in the summer of 2014. It is the photo story you will not see on television or in the newspapers. On July 7, 2014, Israel launched a series of aerial attacks on Gaza, followed by the ground phase of the operation ten days later. Mads Gilbert arrived in Gaza on July 13th, and worked day and night for the next two weeks at Al-Shifa Hospital, dealing with casualties, repairing serious injuries, and trying to save lives. With the help of a small, black camera ready in the pocket of his green operating scrubs, he was able to document some of the human cost paid by the Palestinian people for enduring the Israeli occupation. He also kept a daily journal about the situation, with eye-witness accounts of the havoc wreaked by the Israeli attacks, and moving accounts of his interactions with ordinary Palestinians—men, women and children—who had done nothing to deserve the horrific disruption to their lives. What Gilbert experienced was awful, and it was immense—the sounds of bombs and screaming, bodies torn to pieces and a society reduced to rubble—but he also saw camaraderie, dignity, human courage and unflinching resolve. Max Blumenthal is an award-winning journalist and author living in the United States. His most recent book, Goliath: Life and Loathing in Greater Israel (2013), takes a critical view of Israeli actions and has generated considerable debate. The UN Commission appointed to investigate “Operation Protective Edge,” the Israeli attack on Gaza last summer, published its findings last week. As expected—to anybody with eyes and half a brain—the report strongly condemns the Israeli attacks on civilian targets–which, it says, “may” have been war crimes. And as usual, Israel refused to respond to any requests for information and barred the investigators from traveling to the occupied West Bank and Gaza Strip or to present-day Israel.What are they afraid of? What they’re always afraid of—international scrutiny. Israel for too long has controlled the framing and the narrative. And the West has always been duped by their brilliant art of obfuscating the truth. 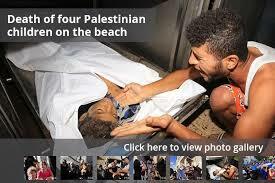 2,251 Palestinians were killed, including 1,462 Palestinian civilians, among them 551 children, the report states. More than 11,000 Palestinians, including 3,540 women and 3,436 children, were injured with almost 10 percent suffering permanent disabilities. Senior Hamas official Ghazi Hamas said that its rockets and mortars were aimed at Israeli military sites, not at civilians. He also criticized the UN investigators for the false “balance”. No kidding. And how about this for chutzpah? Israeli officials also responded to the report calling it “biased” and saying it has “blood on its hand for allowing the murder of Jews.” Not even a nod to the shocking disproportionate slaughter of Palestinian people. No shame at all. These are the words of a thug who represents a country which more and more resembles an army with a flag. In our homes, our streets and our places of work and entertainment, there are thousands of people who killed and tortured thousands of other people or supervised their killing and torture. I write “thousands” as a substitute for the vaguer “countless” – an expression for something that cannot be measured. Me, cruel? After all, our hands aren’t covered with blood when we push the button that drops a bomb on a building housing 30 members of a single family. Lowlife? How can we use that word to describe a 19-year-old soldier who kills a 14-year-old boy who went outside to pick an edible plant? The Jewish killers and torturers and their direct commanders act as they do with official permission. The Palestinian dead and tortured that they have left behind over the past 67 years also have grieving nieces and families for whom bereavement is a constant presence. In university hallways, shopping malls, buses, gas stations and government ministries, Palestinians don’t know which of the people they encounter have killed, or which and how many members of their families and their people they have killed. But what’s certain is that their killers and torturers are walking around free. As heroes. For many years Fr. Antonio Sarducci has been climbing the Curial pole as the one who consistently tells the truth to the Supreme Pontiff. Unknown to most Vatican watchers, Fr. Sarducci,the brother of the infamous Guido the former gossip columnist for L’Osservatore Romano, has steadily deepened his spiritual life. 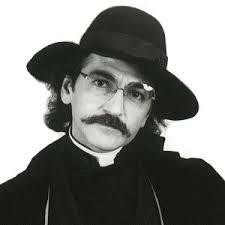 After a 40 day retreat on Toronto’s Centre Island in the year 2001, Sarducci returned to Rome a changed man. 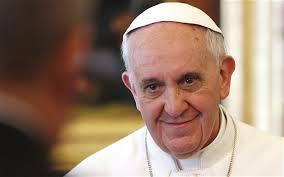 Today, mirabile dictu, he has become an intimate of Pope Francis. Though living in Rome, Antonio through modern communications has stayed in touch with many Toronto friends and has often leaked Pope Francis’ message to the cardinals of the Roman church. Apparently this has been forgotten in the last few decades, never taught in our seminaries and that is why I am asking you to awake from your slumber and stop placing the church at the heart of your ministry. As our beloved predecessor Pope Paul Vl reminded us in his prophetic Exhortation of 1975 Evangelization in the Modern World the only thing which is ultimate is the reign of God: peace, justice and the integrity of creation. As our forefathers stated then “It makes everything else irrelevant”—and that includes, the church, the priesthood and the sacraments—everything. Apparently Mr Seger gets it. It indeed is our world. This is the great economy in which everything else must be subordinated; the earth is primary, the very basis of all human and non-human life. Destroy this base and nothing all matters. Leaders like your Prime Minister seem to have been locked into a death-dealing economic fundamentalism. I gently hinted this to him in our 10 minute meeting. In section 219 of my encyclical I have directed you “beyond the personal”. Social problems must be addressed by community networks and not simply by the sum of individual good deeds. This task “will make such tremendous demands of man that he could never achieve it by individual initiative or even by the united effort of men bred in an individualistic way. that the Suzuki Foundation, Friends of the Earth and the Sierra Club are all active in Canada. Embrace them; learn from them .The old adage “If Catholics are not leading the parade, they are not in it’ has sadly been true.This must stop. Humility demands that our parishes act in loving concert with those salvific elements in our society. So, my brother bishops, I am requesting that within 30 days you convene your parish, engage the many experts, Catholic and non-Catholic, whom you have heretofore ignored and get moving. This encyclical invites you to study, prayer and necessary action in defense of our holy earth which has been maltreated for far too long. It must be said that some committed and prayerful Christians, with the excuse of realism and pragmatism, tend to ridicule expressions of concern for the environment. Others are passive; they choose not to change their habits and thus become inconsistent. So what they all need is an “ecological conversion”, whereby the effects of their encounter with Jesus Christ become evident in their relationship with the world around them. Living our vocation to be protectors of God’s handiwork is essential to a life of virtue; it is not an optional or a secondary aspect of our Christian experience. Pope Francis second Encyclical is entitled Praise be to you, my Lord or On Care for Our Common Home which I am sure this teaching will be known. 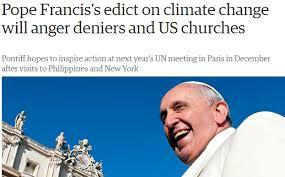 For many of us encyclicals and papal letters are are known by their Latin names (Populorum Progressio, Octogesima Adveniens etc) so in this case Laudato si . The central question posed by Francis: “What kind of world do we want to leave to those who come after us, to children who are now growing up?” (no. 160). I love the way Francis refers to our common patrimony, the earth. Much like the man from Assisi of the 13th century, he speaks in relational terms. He refers to the earth as “our sister.” Right off the bat he lays out the harm which humans have inflicted on the earth. This sister now cries out to us because of the harm we have inflicted on her by our irresponsible use and abuse of the goods with which God has endowed her. We have come to see ourselves as her lords and masters, entitled to plunder her at will. The violence present in our hearts, wounded by sin, is also reflected in the symptoms of sickness evident in the soil, in the water, in the air and in all forms of life. This is why the earth herself, burdened and laid waste, is among the most abandoned and maltreated of our poor; she “groans in travail” (Rom 8:22). We have forgotten that we ourselves are dust of the earth (cf. Gen 2:7); our very bodies are made up of her elements, we breathe her air and we receive life and refreshment from her waters. The Harpers of this world are captured by one dimensional and destructive thinking of GDP and wealth production(in our case Tar Sands oil) a closed system of commercial transactions, production an exchange of goods. This is the blindness of contemporary neoliberal economics. It absolutely fails to understand that the earth and its life giving sources are primary, not secondary to runaway wealth creation. What is the pricer of earth, air and water?Instead of GDP we need to worry about Gross Earth Deficit, how our industrial economy is closing down the planet. This is a brilliant start which should challenge somnolent pastors into action and give great hope to those who have laboured long and hard trying to bring sanity to an industrial world out of control. Catholic pastors, by and large, right now, are totally out of the gospel loop. Few have understood that they must hitch their narrow parish wagons to movements beyond their heretofore narrow parish concerns. 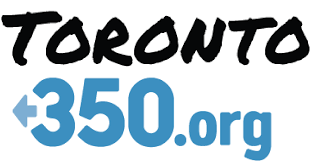 Each parish in this country should unashamedly have a ginger group of committed activists linked to the David Suzuki Foundation, Friends of the Earth, the Sierra Club ,350.org all organizations which have been doing the heavy lifting in the defense of the earth. Many young Catholics have become so disenchanted by a church which has become so depoliticized, so abstract in its commitment to our common struggle that they have left in droves.Pope Francis may give them confidence that they have been right all along, that their church has been woefully behind the call of the Master to see that “thy will be done on earth”. This includes our defense of creation, the greatest moral challenge of this century. Can we really use the term war to describe a one-sided massacre of a civilian population? Last summer’s unconscionable Israeli assault on the defenseless people of Gaza claimed the deaths of 2,300 civilians of which 504 were children. Here’s a country with gun ships, Apache helicopters, Merkava tanks and missiles on another murderous rampage against the penned up people of Gaza. And now the predictable report which concludes as it always does that this “war’ was “lawful and legitimate. “ This ‘is but another whitewash as Israel refuses to cooperate with the United Nations Human Rights Council’s inquiry, which Prime Minister Benjamin Netanyahu dismissed as biased.This is a consistent tactic: never allow internationalists into Gaza to see the horrific destruction. 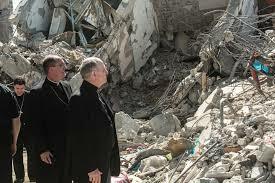 Israel bends periodically when Christian bishops ask to visit the horrific destruction. In January Israel made the Vatican’s Holy Land Tour wait 24 hours outside the world’s largest prison camp before grudgingly allowing the bishops in. Even 6 months after the hard rain descended on Gaza, the shock was palpable. Lydia O’Kane, who was accompanying the group on behalf of Vatican Radio said the bishops were left shocked by what they witnessed. It was a traumatising experience for many of them with one reduced to tears at the sheer scale of destruction saying “there’s nothing left”. No picture can fully describe the full extent of what parts of Gaza have been reduced to. The bishops’ group has been coming on this visit for 15 years. They have seen bomb sites before. But the looks on their faces said it all, as they walked along streets in silence,” O’Kane reported on Vatican Radio. Perhaps The most shocking scene of July’s massacre broadcast in front of journalists was the callous killing of 4 children playing soccer on the beach.Peter Beaumont the Guardian’s correspondent in Israel, was sitting that afternoon on the terrace of the Al-Deira Hotel, regularly used by journalists, when the explosion occurred. They were four skinny children of fishermen, the beach boys of Gaza, wearing shorts, looking even younger than their years. At the funeral Zakariyah’s mother could not kiss his face; it was torn apart. 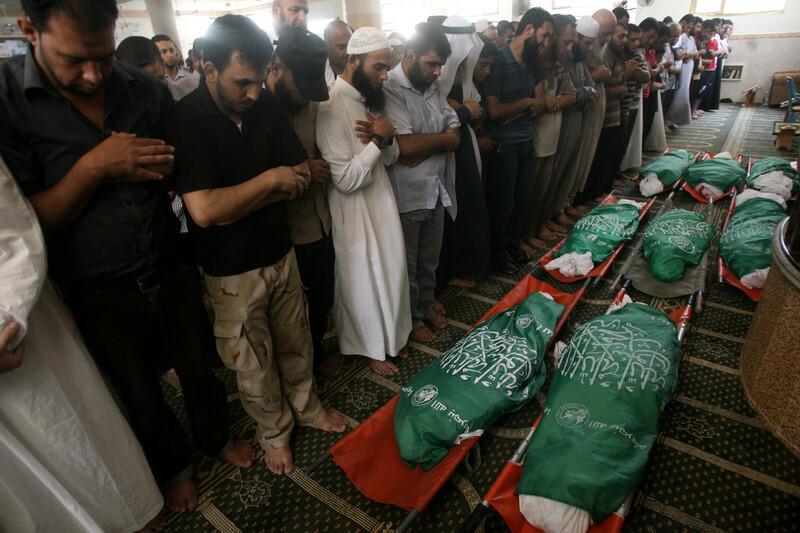 The spokesman of the most moral army in the world expressed his regret, while blaming Hamas, of course, for the killing of the children, for “cynical use of them” – Hamas, after all, had sent them to play on the beach. The pilot or the soldier who pressed the button – the firing was apparently from the air – is absolved of responsibility. Yes, Israel has investigated itself, and this fits into a very familiar pattern that we’ve seen time and time again, really going back to the early days of the Israeli state. After various massacres, there are investigations, which almost always result in Israel declaring itself completely innocent or finding some minuscule charge to put on people that are, you know, then prosecuted and further have those charges mitigated even after that, to the point where there is nobody held accountable for anything at all. This is a PR stunt, is what it is. And I think it speaks volumes that that’s the approach that the Israelis are taking, precisely because they know there is no way that they can convince the world that what took place in Gaza last year—you know, wiping out 89 entire families, killing 504 children—that that’s justifiable. They can’t, certainly not, you know, given the fact that this was done through massive weapons of war against a stateless population. That can’t be done. The best that they can hope to do is to obfuscate and to confuse and to cloud people’s perception of the issue by trying to issue a report that attempts to balance out or counteract a report that’s done by an independent entity. If the Israelis believe that the only way that they can get a report that supports the conclusions that they want and finds them innocent of all war crimes is to orchestrate that report by themeless or have it put together by their friends, I think that tells you everything you need to know about Israel’s conduct in the Gaza Strip last summer. If they think that anyone in the world will take this piece of propaganda seriously, they underestimate the intelligence and the morality of the world. It’s really almost shameful to suggest this kind of report, when, as my friend said just now, when the facts on the ground are streaming, are crystal clear, more than 500 children being killed. You can blame all the killing on the Hamas. Can you really believe that anyone will take you seriously? Really, I mean, it’s every time, again and again—, the Israeli public opinion is totally brainwashed in the recent years—no moral doubt, no discussion, no debate even. I mean, it is very clear to most of the Israelis, if not all of them, that the IDF is the most moral army in the world and that Israel should not be taken accountable for anything it has done in Gaza. This is hardly discussed even. It’s not even an issue in Israel. After journalists called for comment, however, the IDF soldier’s sentence was reduced. I mean what was grandma thinking? An American-born lone soldier serving in the Israel Defense Forces was sentenced to military jail for eating a non-kosher sandwich during training, according to an Israel Radio report. After an Israel Radio reporter asked the IDF Spokespeson’s Unit to comment, however, it was decided that the soldier would not be sent to jail, but rather would not receive his upcoming weekend leave. The soldier lives on a kibbutz with his grandmother, who made him the sandwiches, which he proceeded to offer to his fellow soldiers. A representative for the IDF Spokesperson’s Unit told Israel Radio that the soldier was given such a harsh sentence because his actions were unbecoming for a soldier currently in commander’s training school. 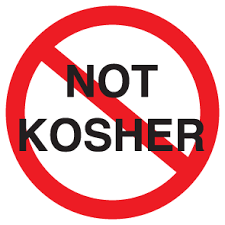 It is against army regulations to bring non-kosher food onto IDF bases, which are all kosher. Lacaille is incredulous that a fellow priest, albeit a cleric in the highest pantheon of Catholicism could be so tone deaf as to the reality in Latin America. Increasingly it is seen that that the papacies of John Paul ll and Benedict XVl were adverse reactions to the Second Vatican Council. It is only now that the negative aspects of this one papacy have become clear. The fresh pontificate of Pope Francis has called into stark relief the failed attempt to reclericalize a Church which has come of age in terms of the importance of the lay voice, the sensus fidelium. It was the brilliant ecclesiologist Yves Congar((1904-1995) who hammered this insight home at the Council, namely that the hierarchy is a very small part of people of God, that the sensus fidelium “is a gift of the Holy Spirit is given to the hierarchy and the whole body of the faithful together.”it was the central reality of the Church as the people of God which as Lacaille says,”the long reign of John Paul ll tried to erase from collective memory.”This has proved impossible.The new wine of Vatican ll, the centrality of baptism over Holy Orders has changed the Roman church forever. More change is to be expected much to the chagrin of papalists who wanted to freeze the church in time. What would you have done in my place? For which one of these sins do you want to condemn me, my brother Benedict? What annoys you so much in what I did? Is it that far from what Jesus would have done in the same circumstances? How do you think I feel when I hear your repeated condemnations? In Brazil, it’s the same reality: for 25 years, Bishops who were committed to the landless farmers and the poor in the favelas of big cities have been replaced by conservative Bishops who fought against and rejected the thousands of base communities, where Faith was lived at the ground level of life. All this has created an immense vacuum which the Evangelical and Pentecostal churches have filled: they have remained with the people, and it’s by hundreds of thousands that Catholics move on to those communities. Dear Benedict, I beg you to change the way you see things.You don’t have an exclusivity on divine inspirations; the whole ecclesial community is enlivened by the spirit of Jesus. Please, put away your condemnations;you will soon be judged by the only One authorized to classify us to the left or to the right, and you know as well as I do that it’s on love that our judgment will be rendered. Our Vatican correspondent Fr.Guido Sarducci planted an microphone in the papal salon where Pope Francis met Canada’s Prime Minister Stephen Harper. Pope: Good afternoon Mr. Harper. Can I cut to the chase right away? What is up with you and your love in with Israel? Man you are totally offside on this issue. Have you been to the West Bank and Gaza and and seen the constant humiliation of the Palestinian people? and the 520 dead kids after the last massacre in Gaza? Do you really understand the word Nakba? These people had their land stolen by Israelis in 1948, expelled from their country and now Israel presides over the longest occupation in modern history. And you have the gall to tell me that the Holy See and Canada share a commitment to human rights and human dignity.I guess Palestinians don’t count. What is it that you don’t get? 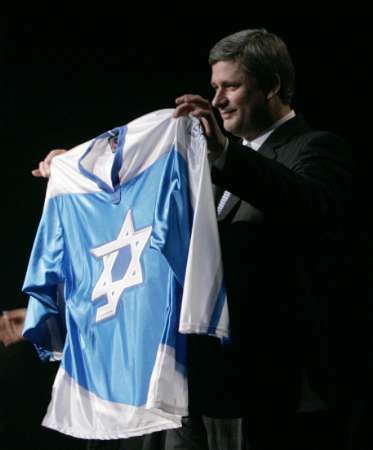 PM Harper: I don’t get Canadian Muslims donating to the Conservative Party. Sorry, Holiness, a little humour there. No, my fundamentalist bible reading tells me God gave this land to the Jews and that’s that.End of story.Don’t you know your bible, Holiness? Pope Francis: Apparently you haven’t been aware that Muslims have been on this land for 1300 years and Zionism is a European colonialist imperial adventure common at the turn of the 20th century.Who gave Great Britain the right to colonize a Mediterranean land? PM Harper: Geez, I never thought of that. Pope Francis: And while I got you here what have you one to Canada’s international reputation which as we say in Italy is now in the gabinetto? Every paper I read tells me you are an ecological outlaw, an enemy of the earth and God’s holy world. Canada is the worst offender against climate justice in the developed world. Is this leadership?My encyclical is coming out on June 18. I suggest you take it to heart and start coloring yourself green. 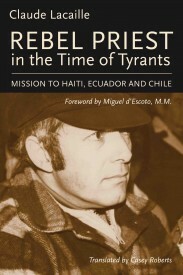 Claude Lacaille a Quebec missionary has written a powerful memoir entitled Rebel Priest in the Time of Tyrants: Mission to Haiti, Ecuador and Chile (Baraka Books, June 2015). Lacaille was a committed Vatican ll priest who took the gospel seriously and entered into deep solidarity with the exploited poor of Haiti, Ecuador and Chile. Lacaille reminds us of that generation of priests who were inspired by Council’s call to serve the poorest of the poor. In this way he is very close to the present pope who has shaken to the core church careerists who wouldn’t know a picket line, a slum or the struggling poor in whom Christ especially dwells. This is a moving book. I’m writing this letter to you because I need to communicate with the pastor of the Catholic Church and that there are no communication channels to reach you. I’m addressing myself to you as a brother in faith and in priesthood, since we’ve both together received the mission of announcing the Gospel of Jesus to all nations. I’m a Quebec missionary Priest for 45 years now; I committed myself with enthusiasm to the Lord’s service, at the opening of the Vatican II Ecumenical Council. I was led to work closely with particularly poor environments: in the Bolosse neighborhood in Port-au-Prince under François Duvalier, then with the Quichuas in Ecuador, and finally in a working-class neighborhood in Santiago, Chile, under Pinochet’s dictatorship. When I read the Gospels of Jesus during my high school years, I was impressed by the crowds of poor and down-and-outs of life that Jesus surrounded Himself with whereas the many Priests who accompanied us in that Catholic college only spoke about sexual morality. On board the plane that was taking you to Brazil, you more than once condemned Liberation Theology as a false millennialism and a misguided mixture of Church and Politics. I was deeply shocked and wounded by your words. I had read and re-read both instructions published by ex-cardinal Ratzinger on this topic.They describe a straw man which absolutely doesn’t reflect my life’s experiences and my beliefs.I didn’t have to read Karl Marx to discover the preferential option for the poor. Liberation Theology, is not a doctrine, a theory; it’s a way of living the Gospel in proximity and in solidarity with excluded and impoverished people. It’s indecent to thus publicly condemn faithful who have dedicated their lives, and we are tens of thousands of laypersons, religious, and Priests from all over who have followed the same path. I don’t understand this doggedness and harassment we are subject to. Just before your trip to Brazil, you silenced and dismissed from Catholic teaching Father Jon Sobrino, a committed and dedicated theologian, companion of Jesuits martyrs in Salvador and of Mgr Romero. This 70 year-old man served the Church of Latin America with courage and humility thanks to his teachings. I lived through the dictatorship of Pinochet in Chile, in a Church bravely guided by an exceptional pastor, Cardinal Raúl Silva Henriquez. Under his guidance, we accompanied a people who were terrorized by a fascist military who pretended to defend Western Christian Civilization by torturing, jailing, eliminating and assassinating. I lived for years in a working-class neighborhood particularly touched by repression, La Bandera. Yes, I hid people; yes, I helped some flee the country; yes, I helped people save their lives; yes, I participated in hunger strikes. I also dedicated those years to reading the Bible with people in working-class neighborhoods. Hundreds of persons discovered the Word of God, and that helped them face the oppression with Faith and courage, convinced that God would accompany them. I organized soup kitchens, and craft workshops to help ex-political prisoners re-insert themselves in society. I picked up assassinated bodies at the morgue and gave them a burial worthy of men. I promoted and defended human rights, under threats for my physical integrity and my life. Yes, most of the victims of the dictator were Marxists, and we made ourselves close because these people were our neighbors. And we sang and hoped together for the end of this disgrace. We dreamed together of freedom.